The Power of the Global Capitalist Class: is a transition possible from capitalist globalisation to alternative non-capitalist forms of globalisation? | The Power of the Global Capitalist Class: is a transition possible from capitalist globalisation to alternative non-capitalist forms of globalisation? We live at a time when much of the world’s economic, political and cultural activity is controlled by a small transnational capitalist class. This class prioritises the accumulation of private profit, influences parliamentary democracy and promotes a culture-ideology of consumerism. Its values affect everything from the nature of our employment and political systems to the architecture of the cities we live in, resulting in policies that endanger the environment (ecological crisis) and increase national and global inequality (class polarisation crisis). Leslie Sklair is an internationally eminent Sociologist. 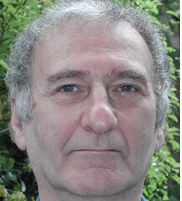 He is aProfessor Emeritus at the LSE, is currently the President of the Global Studies Association and was also on the International Advisory Board of the ESRC funded major project ‘Cities in Conflict,’ based at Cambridge University. His main research interest has been how globalisation works, and currently on iconic architecture and capitalist globalisation, on which he has written extensively. He will look at how the transnational capitalist class operates and will also consider how a transition from capitalist to alternative globalisation could happen and the forms it might take. This entry was posted in 2014 and tagged Leslie Sklair. Bookmark the permalink.